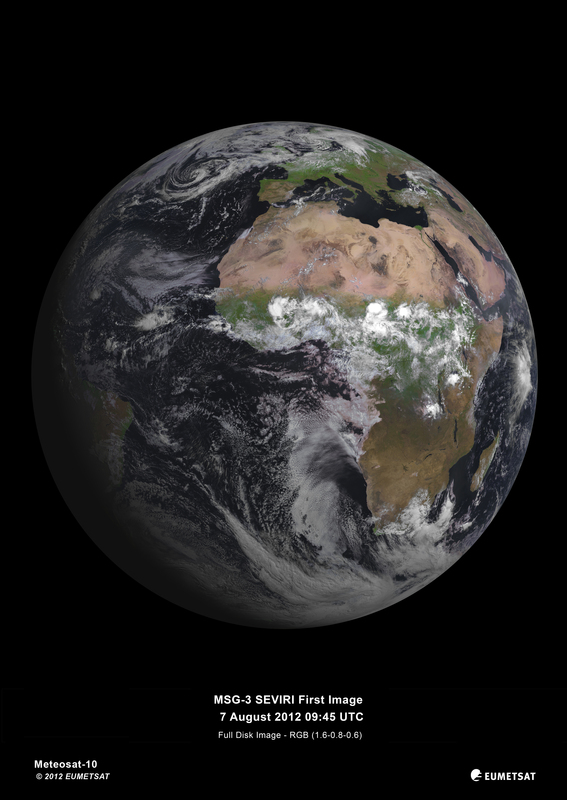 MSG-3 today captured its first image of Earth with its Spinning Enhanced Visible and Infrared Imager (SEVIRI). 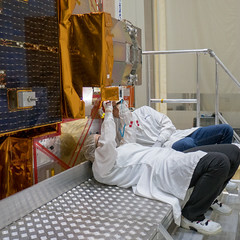 After performing the critical 11-day Launch and Early Orbit Phase (LEOP), ESA officially handed MSG-3 operations over to Eumetsat on 16 July for the commissioning operations. Commissioning will last about six months and includes checking that the imaging service is fully functional and delivers high-quality products for weather forecasting. This first image demonstrates that MSG-3 is performing well and is on its way to taking over operational service.